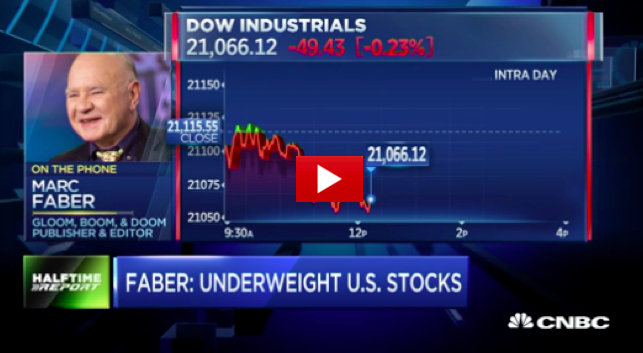 Marc Faber predicted last week that a market sell-off could trigger a selling "avalanche." Today he's back explaining that the Euro will make the europeans so uncomfortable that it will reverse and cause the U.S. dollar to go down along with the markets. He believes the U.S. economy is still weak and cycle wise a meaningful correction is due. Read the rest here: "Marc 'Dr. Doom' Faber says the 'very complacent' market could go down for these 3 reasons"